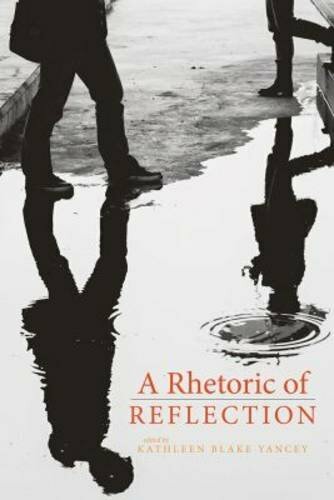 9781607325154 | Utah State Univ Pr, August 1, 2016, cover price $31.95 | About this edition: Reflection in writing studies is now entering a third generation. 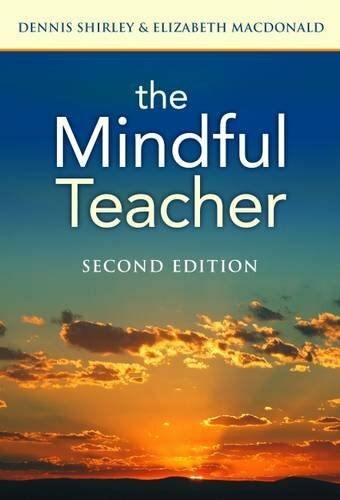 9780807756843 | 2 new edition (Teachers College Pr, June 10, 2016), cover price $29.95 | About this edition: ''This updated and expanded second edition ofÂ The Mindful TeacherÂ presents a truly inspiring vision of educational change. 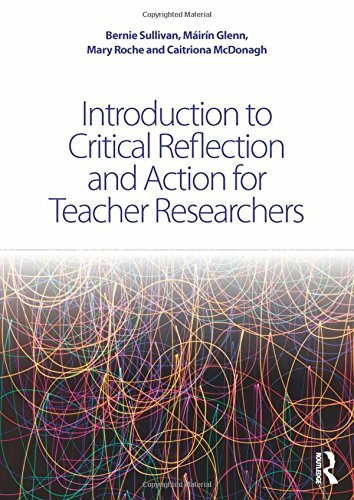 9781138911048 | Routledge, May 3, 2016, cover price $155.00 | About this edition: Introduction toÂ Critical Reflection and Action for Teacher Researchers provides crucial direction for educators looking to improve their teaching and maximise learning. 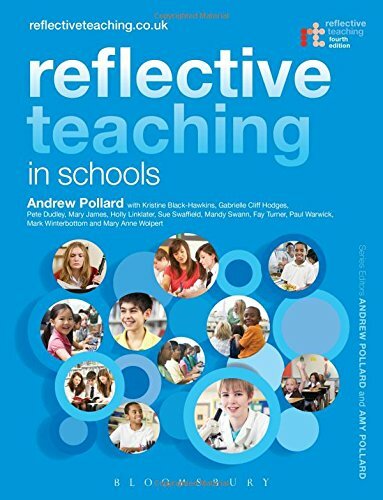 9781138911055 | Routledge, May 2, 2016, cover price $44.95 | About this edition: Introduction toÂ Critical Reflection and Action for Teacher Researchers provides crucial direction for educators looking to improve their teaching and maximise learning. 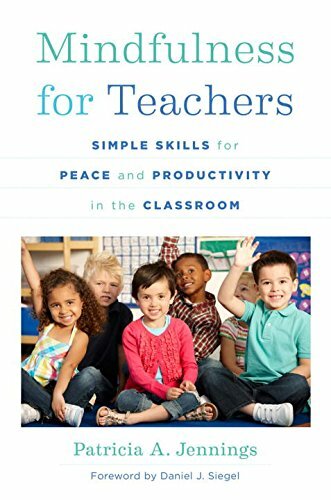 9781506333465 | Corwin Pr, April 13, 2016, cover price $34.95 | About this edition: Discover the power of collaborative inquiry! 9781910619780 | Classic Comic Store Ltd, January 19, 2016, cover price $15.95 | also contains Dr. Jekyll & Mr. Hyde, Dr. Jekyll & Mr. Hyde, Dr. Jekyll and Mr. Hyde, Dr. Jekyll and Mr. Hyde, Dr. Jekyll and Mr. Hyde, Dr. Jekyll and Mr. Hyde | About this edition: Dr.
9780764160585, titled "Graphic Classics Dr. Jekyll and Mr. Hyde" | Barrons Juveniles, September 5, 2008, cover price $15.99 | also contains Dr. Jekyll & Mr. Hyde, Dr. Jekyll & Mr. Hyde, Dr. Jekyll and Mr. Hyde, Dr. Jekyll and Mr. Hyde | About this edition: The respectable Doctor Jekyll has written his will, leaving all his possessions to the strange Mr.
9780233990781, titled "Dr. Jekyll and Mr. Hyde" | Andre Deutsch Ltd, December 1, 1996, cover price $11.95 | About this edition: The story of Dr Jekyll, a good man who dedicates his life to helping others, but who also uses a powerful potion to create another version of himself, Mr Hyde, to do his wicked deeds for him. 9780216885189, titled "Dr. Jekyll and Mr. Hyde" | Hippocrene Books, October 1, 1979, cover price $3.95 | About this edition: Dr.
9781522751861, titled "Dr. Jekyll and Mr. Hyde" | Createspace Independent Pub, December 14, 2015, cover price $9.00 | also contains Dr. Jekyll & Mr. Hyde, Dr. Jekyll & Mr. Hyde, Dr. Jekyll and Mr. Hyde, Dr. Jekyll and Mr. Hyde, Dr. Jekyll and Mr. Hyde, Dr. Jekyll and Mr. Hyde | About this edition: The work is commonly known today as The Strange Case of Dr.
9781906814595, titled "Dr. Jekyll and Mr. Hyde" | Casemate Pub & Book Dist Llc, September 1, 2015, cover price $9.95 | also contains Dr. Jekyll & Mr. Hyde, Dr. Jekyll & Mr. Hyde, Dr. Jekyll and Mr. Hyde, Dr. Jekyll and Mr. Hyde, Dr. Jekyll and Mr. Hyde, Dr. Jekyll and Mr. Hyde | About this edition: Stevenson's tale of horror featuring Dr.
9781515159681 | Large print edition (Createspace Independent Pub, July 21, 2015), cover price $11.99 | also contains Dr. Jekyll & Mr. Hyde, Dr. Jekyll & Mr. Hyde, Dr. Jekyll and Mr. Hyde, Dr. Jekyll and Mr. Hyde, Dr. Jekyll and Mr. Hyde, Dr. Jekyll and Mr. Hyde | About this edition: This edition of Dr Jekyll and Mr Hyde is set in 18 point Book Antiqua font for optimum reading pleasure. 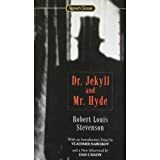 9781587266188, titled "Dr. Jekyll and Mr. Hyde" | Borders Group Inc, October 27, 2009, cover price $5.95 | also contains Dr. Jekyll & Mr. Hyde, Dr. Jekyll & Mr. Hyde, Dr. Jekyll and Mr. Hyde, Dr. Jekyll and Mr. Hyde | About this edition: The structure of ['Dr. 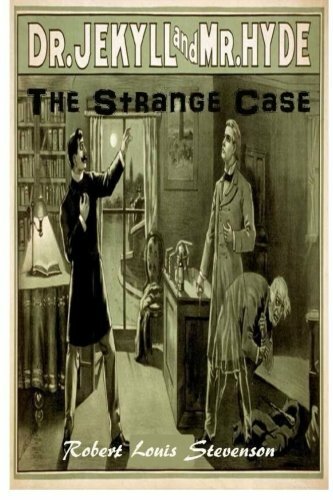 9781860150661 | Unabridged edition (Assembled Stories, September 30, 2007), cover price $38.95 | also contains Dr. Jekyll & Mr. Hyde, Dr. Jekyll & Mr. Hyde, Dr. Jekyll and Mr. Hyde, Dr. Jekyll and Mr. Hyde, Dr. Jekyll and Mr. Hyde | About this edition: This dark psychological fantasy is more than a moral tale. 9780453009409, titled "Dr. Jekyll and Mr. Hyde" | Abridged edition (Highbridge Co, January 1, 1995), cover price $16.95 | About this edition: One of the most horrific depictions of the human potential for evil ever written. 9781607548492, titled "Dr. Jekyll and Mr. Hyde" | 1 edition (Rosen Pub Group, February 6, 2010), cover price $28.95 | also contains Dr. Jekyll & Mr. Hyde, Dr. Jekyll & Mr. Hyde, Dr. Jekyll and Mr. Hyde, Dr. Jekyll and Mr. Hyde | About this edition: The mild-mannered Dr.
9781607541738, titled "Dr. Jekyll & Mr. Hyde" | Rosen Pub Group, January 1, 2009, cover price $30.25 | also contains Dr. Jekyll & Mr. Hyde, Dr. Jekyll & Mr. Hyde, Dr. Jekyll and Mr. Hyde, Dr. Jekyll and Mr. Hyde | About this edition: A retelling of the story of the doctor who is transformed into a murderous madman by taking a secret drug of his own creation. 9781424210046, titled "Dr. Jekyll and Mr. Hyde" | Fitzgerald Books, January 1, 2007, cover price $30.77 | also contains Dr. Jekyll & Mr. Hyde, Dr. Jekyll & Mr. Hyde, Dr. Jekyll and Mr. Hyde, Dr. Jekyll and Mr. Hyde | About this edition: There is something strange happening on the streets of London. 9780394963655, titled "Dr. Jekyll and Mr. Hyde" | Random House Childrens Books, March 1, 1984, cover price $11.99 | About this edition: A kind and well-respected doctor can turn himself into a murderous madman by taking a secret drug he has created. 9781439544808, titled "Dr. Jekyll and Mr. Hyde" | Reprint edition (Paw Prints, April 9, 2009), cover price $18.95 | also contains Dr. Jekyll & Mr. Hyde, Dr. Jekyll & Mr. Hyde, Dr. Jekyll and Mr. Hyde, Dr. Jekyll and Mr. Hyde | About this edition: A new edition of Stevenson's classic work. 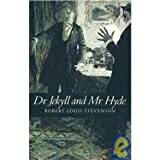 9780613324885, titled "Dr. Jekyll and Mr. Hyde" | Turtleback Books, December 1, 2003, cover price $19.60 | also contains Dr. Jekyll & Mr. Hyde, Dr. Jekyll & Mr. Hyde, Dr. Jekyll and Mr. Hyde, Dr. Jekyll and Mr. Hyde | About this edition: FOR USE IN SCHOOLS AND LIBRARIES ONLY. 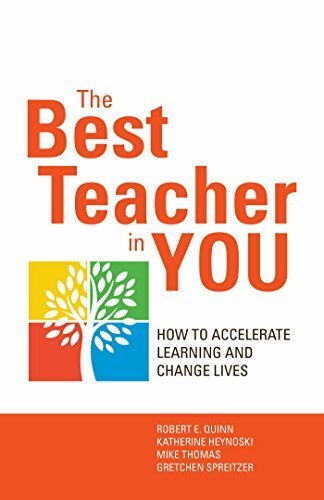 9781475823028 | Rowman & Littlefield Pub Inc, December 4, 2015, cover price $70.00 | About this edition: Frank Thoms writes with passion to invite principals and teachers to make changes that will allow all students to succeed. 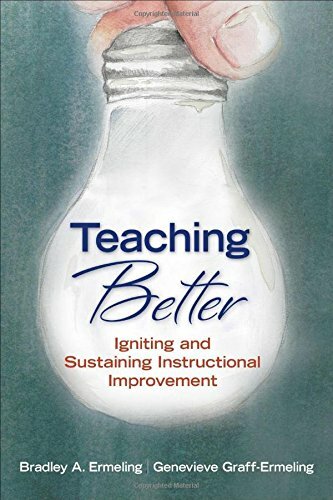 9781475823035 | Rowman & Littlefield Pub Inc, November 23, 2015, cover price $34.00 | About this edition: Frank Thoms writes with passion to invite principals and teachers to make changes that will allow all students to succeed. 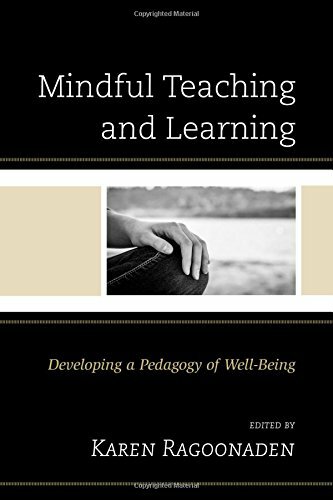 9781498506663 | Lexington Books, July 22, 2015, cover price $75.00 | About this edition: Mindful Teaching and Learning: Developing a Pedagogy of Well-Being features a community of scholar-practitioners from across disciplines, methodologies, and ideological perspectives exploring and examining contexts that support mindful teaching, mindful learning, and a pedagogy of well-being. 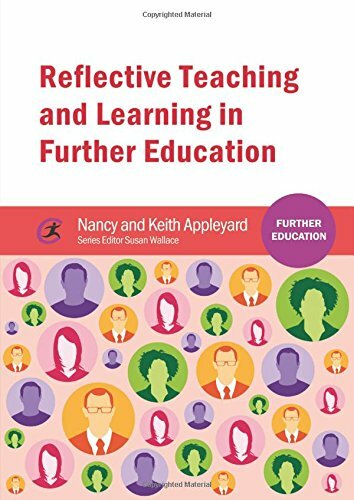 9781909682856 | Intl Specialized Book Services, June 29, 2015, cover price $27.00 | About this edition: This book looks at critical reflection as a key skill for all teachers in further education (FE) and as an important part of the UK's new Professional Standards. 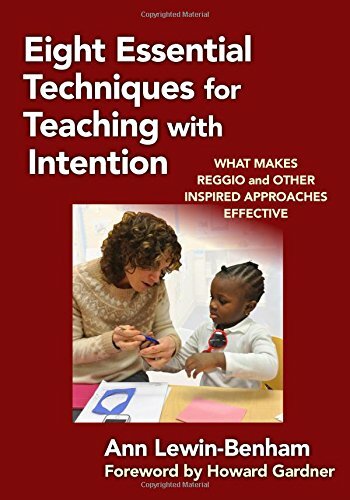 9780807756577 | Teachers College Pr, June 12, 2015, cover price $34.95 | About this edition: In her latest book, bestselling author Ann Lewin-Benham describes eight techniques that foster intentional and reflective classroom practice. 9781472505262 | Bloomsbury USA Academic, April 23, 2015, cover price $128.00 | About this edition: Readings for Reflective Teaching in Early Education is a unique portable library of exceptional readings drawing together seminal extracts and contemporary literature from international sources from books and journals to support both initial study and extended career-long professionalism for early years practitioners. 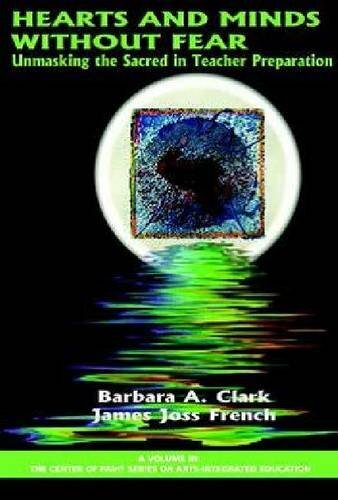 9781472512642 | Bloomsbury USA Academic, April 23, 2015, cover price $39.95 | About this edition: Readings for Reflective Teaching in Early Education is a unique portable library of exceptional readings drawing together seminal extracts and contemporary literature from international sources from books and journals to support both initial study and extended career-long professionalism for early years practitioners. 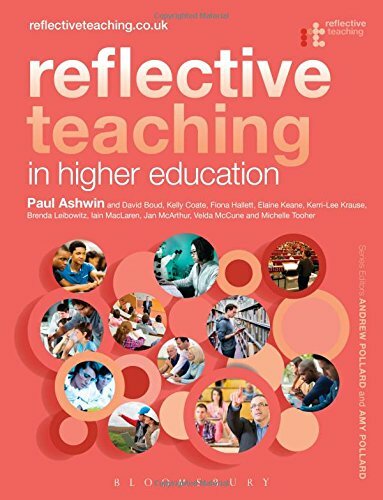 9781441124463, titled "Reflective teaching in higher education: Evidence-informed Professional Practice" | Bloomsbury USA Academic, April 23, 2015, cover price $128.00 | About this edition: Reflective Teaching in Higher Education is the definitive textbook for reflective teachers in higher education. 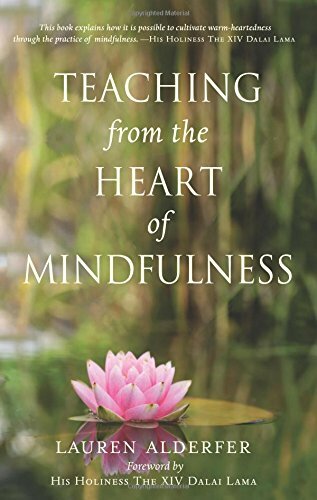 9780996087278 | Midpoint Trade Books Inc, May 27, 2015, cover price $19.95 | About this edition: Teaching from the Heart of Mindfulness approaches life as a laboratory for practicing mindfulness as a way of being―from the heart, in presence and as a teacher. 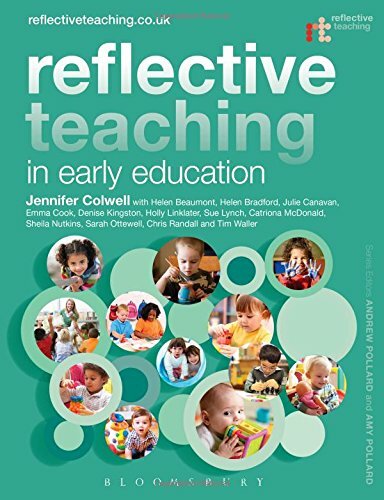 9781441177988 | Bloomsbury USA Academic, April 23, 2015, cover price $128.00 | About this edition: Reflective Teaching in Early Education is the definitive textbook for reflective professionals in early education, drawing on the experience of the author team and the latest research, including the Teaching and Learning Research Programme (TLRP) findings. 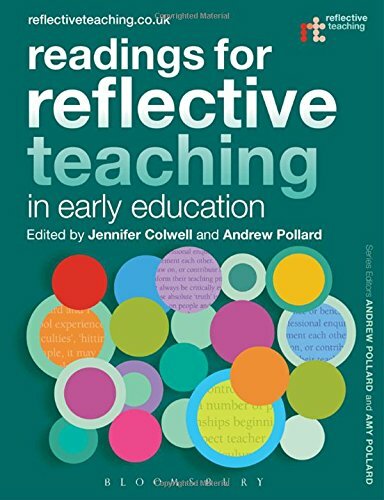 9781441172044 | Bloomsbury USA Academic, April 23, 2015, cover price $39.95 | About this edition: Reflective Teaching in Early Education is the definitive textbook for reflective professionals in early education, drawing on the experience of the author team and the latest research, including the Teaching and Learning Research Programme (TLRP) findings. 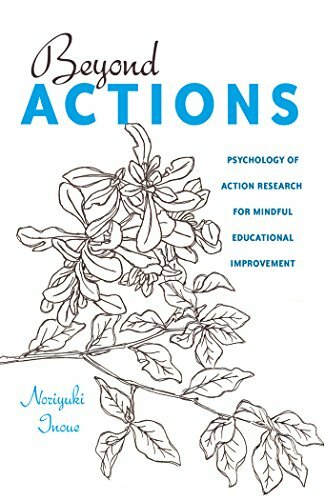 9780393708073 | W W Norton & Co Inc, February 16, 2015, cover price $22.95 | About this edition: Mindfulness for Teachers is based upon the author's extensive experience as a mindfulness practitioner, teacher, teacher educator and scientist. 9781433122552 | Peter Lang Pub Inc, November 24, 2014, cover price $159.95 | About this edition: Beyond Actions is a new breed of book on action research, going beyond procedural descriptions of action research and discusses psychological processes and epistemological challenges involved in planning and conducting action research. 9781433122545 | Peter Lang Pub Inc, November 27, 2014, cover price $40.95 | About this edition: Beyond Actions is a new breed of book on action research, going beyond procedural descriptions of action research and discusses psychological processes and epistemological challenges involved in planning and conducting action research. 9780415819954 | Routledge, September 18, 2014, cover price $162.95 | About this edition: Practicing Core Reflection features 78 concrete educational activities and exercises based on research. 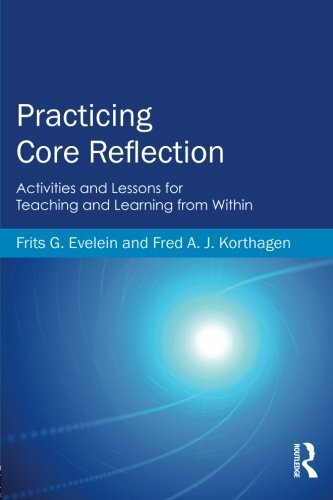 9780415819961 | Routledge, October 7, 2014, cover price $39.95 | About this edition: Practicing Core Reflection features 78 concrete educational activities and exercises based on research. 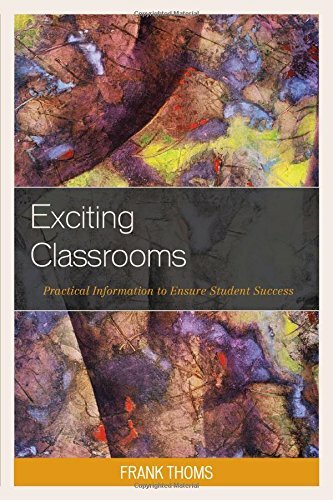 9780415734844 | Routledge, September 12, 2014, cover price $141.95 | About this edition: In todayâs schools, teachers are frequently called on to adapt new curricula and instructional practices in their classrooms. 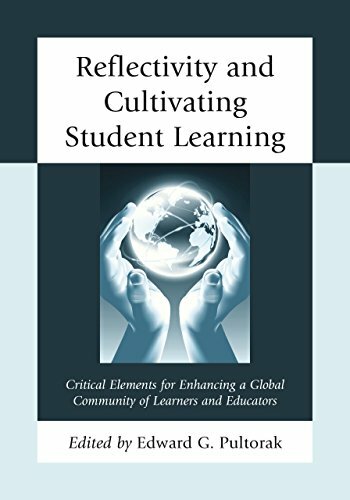 9780415734837 | Routledge, September 12, 2014, cover price $34.95 | About this edition: In todayâs schools, teachers are frequently called on to adapt new curricula and instructional practices in their classrooms. 9781475810691 | Rowman & Littlefield Pub Inc, July 9, 2014, cover price $75.00 | About this edition: Many educator preparation programs have a teacher reflection component and/or model; however, the current available literature provides little information regarding reflectionâs impact on teacher performance and student learning. 9781475810707 | Rowman & Littlefield Pub Inc, July 3, 2014, cover price $38.00 | About this edition: Many educator preparation programs have a teacher reflection component and/or model; however, the current available literature provides little information regarding reflectionâs impact on teacher performance and student learning. 9781623967277 | Information Age Pub Inc, June 1, 2014, cover price $85.99 | About this edition: A volume in The Center for PAInT Series on Arts-integrated Education Series Editors Terry A. 9781623967260 | Information Age Pub Inc, June 1, 2014, cover price $45.99 | About this edition: Hearts and Minds Without Fear: Unmasking the Sacred in Teacher Preparation is the first book of its kind that focuses on the critical urgency of integrating creativity, mindfulness, and compassion in which social and ecological justice are forefronted in teacher preparation. 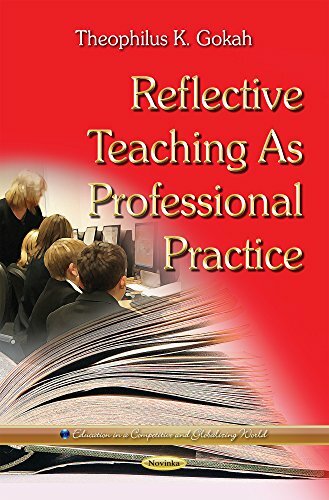 9781441140609, titled "Reflective Teaching in Schools: Evidence-Informed Professional Practice" | 4th edition (Bloomsbury USA Academic, April 10, 2014), cover price $128.00 | About this edition: Building on best-selling texts over three decades, this thoroughly revised new edition is essential reading for both primary and secondary school teachers in training and in practice, supporting both initial school-based training and extended career-long professionalism. 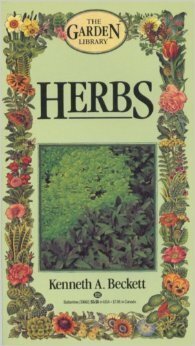 9781441191700 | 4th edition (Bloomsbury USA Academic, April 10, 2014), cover price $39.95 | About this edition: Building on best-selling texts over three decades, this thoroughly revised new edition is essential reading for both primary and secondary school teachers in training and in practice, supporting both initial school-based training and extended career-long professionalism. 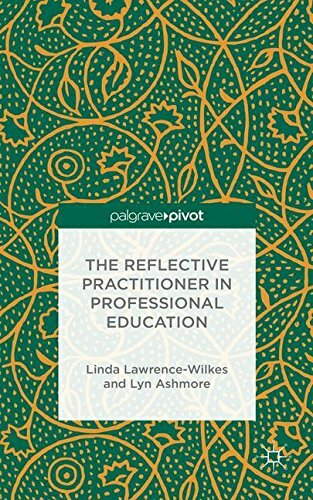 9781137399588 | Palgrave Pivot, April 2, 2014, cover price $75.00 | About this edition: How important is it to be a reflective practitioner in education today?